Don’t swing at anything trying to get your fans to the ballpark! Send out individual Softball Postcards and invite each of them to cheer on your team personally. 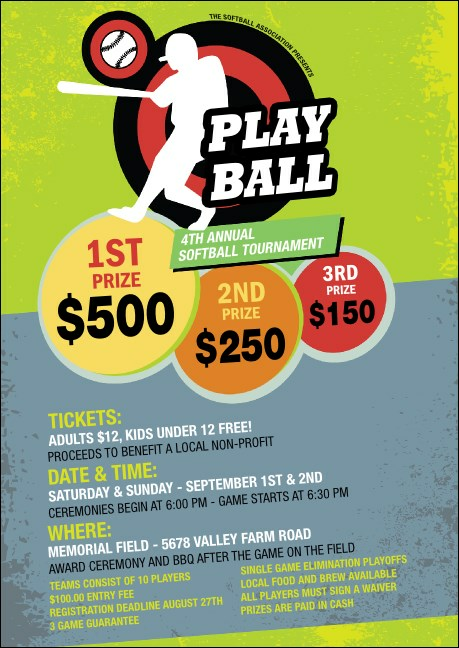 This Postcard template features bright colors and a bull’s eye with a softball player slamming the ball over the fence, and includes thirty one lines of text for all your event details. TicketPrinting.com will help coach you with great pre-event promotions.